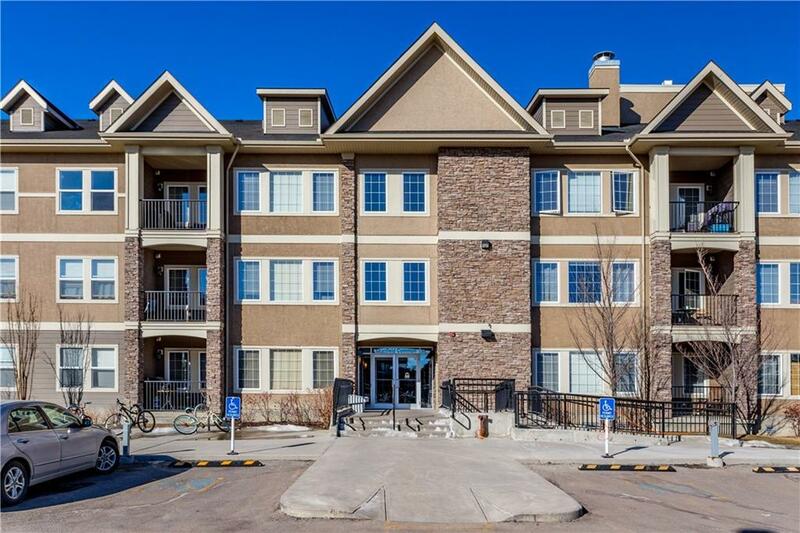 Top floor 2 bedrooms, 2 bathroom corner unit with a full washer & dryer installed by the builder! 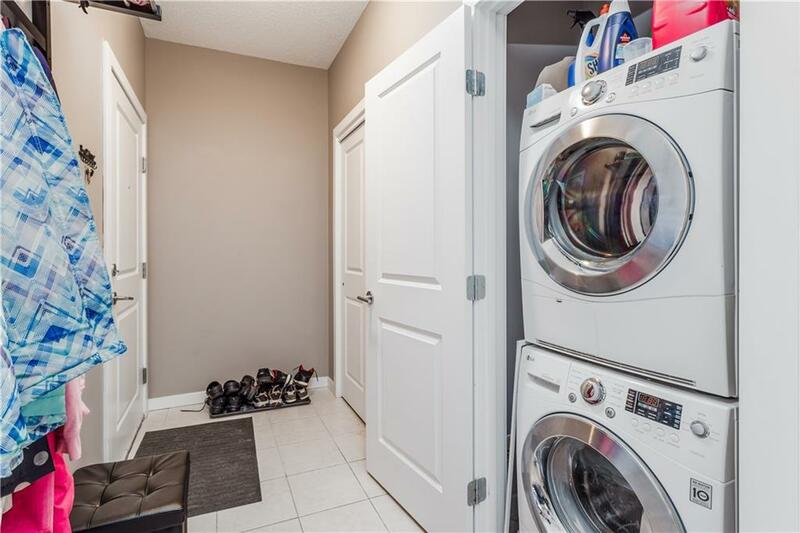 To my knowledge, it is the only apartment in the building with a full laundry (not a European all in one unit). 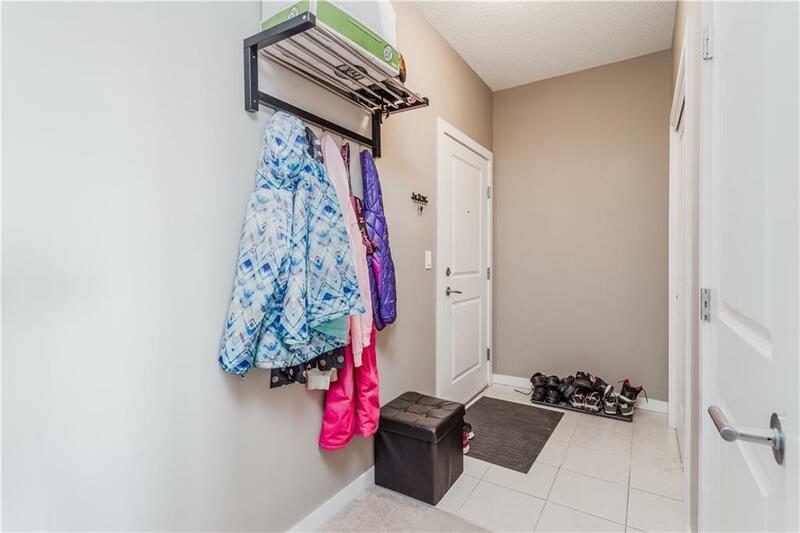 This light-filled corner apartment has a spacious tiled entry area and laundry closet. 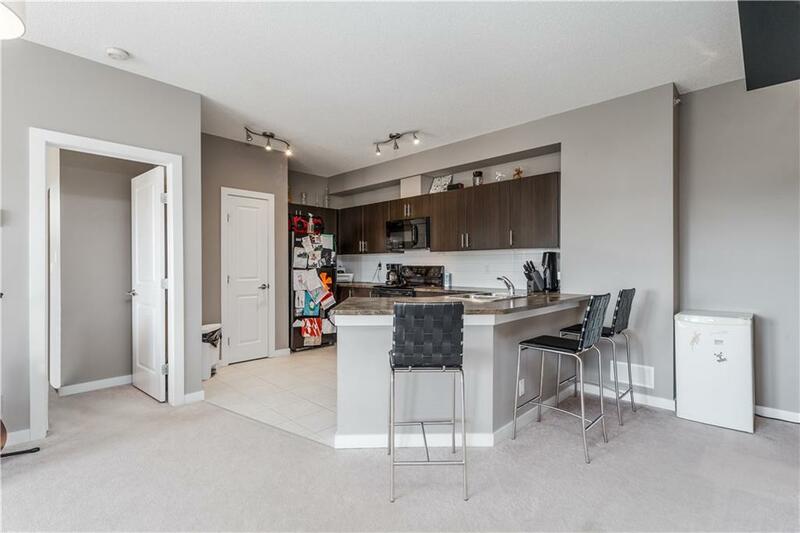 The kitchen has dark cabinets, black appliances, and a large eating bar perfect for entertaining with room for 3 or 4 stools, all open to the living room and private balcony. Includes 1 parking stall and 1 storage unit. Available as early as May 1st.